Everyone makes mistakes. It doesn't matter what line of work you're in, role seniority, or how much of a professional you are. On Friday, a Long Island Rail Road engineer made a mistake and sideswiped another train near Jamaica Station. Fortunately, no one was injured. All passengers were evacuated safely. As you'd expect, the evening rush was snarled and Penn Station filled up fast with stranded commuters. We're human and stuff happens. It's how you handle your mistakes that make your mettle. The MTA proved their preference is to slink away from accountability rather than take the bull by the horns and own the situation. Fortunately for me, the Port Washington line was not affected. I got on that line, and my wife and kids met me at the station. We had an unplanned family dinner at Gino's Pizza and everyone went home happy. A minor inconvenience at worst. Believe it or not, I usually defend the LIRR's service. 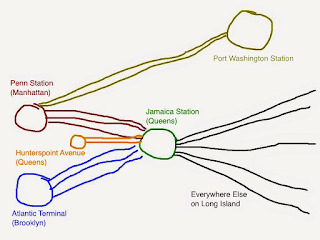 It's the busiest commuter system in the nation, and for the most part it runs pretty well. However, it doesn't take much to snarl it because it runs at capacity with little room for error. What I can't abide, though, is the MTA's reluctance to accept ownership when things go wrong. For example, the MTA calls a train "on time" if it arrives within five minutes and fifty-nine seconds of arrival time. How is that on time? It's late if it's not on time. Things like this aggravate me. Friday night's accident was one of those situations where the MTA distanced itself from its screw-ups. 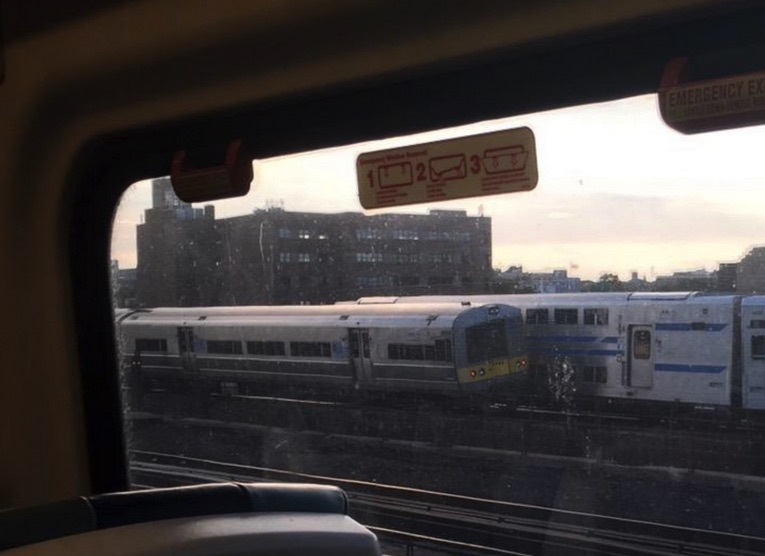 LIRR westbound service is suspended between Penn Station and Jamaica due to an equipment problem in Jamaica. 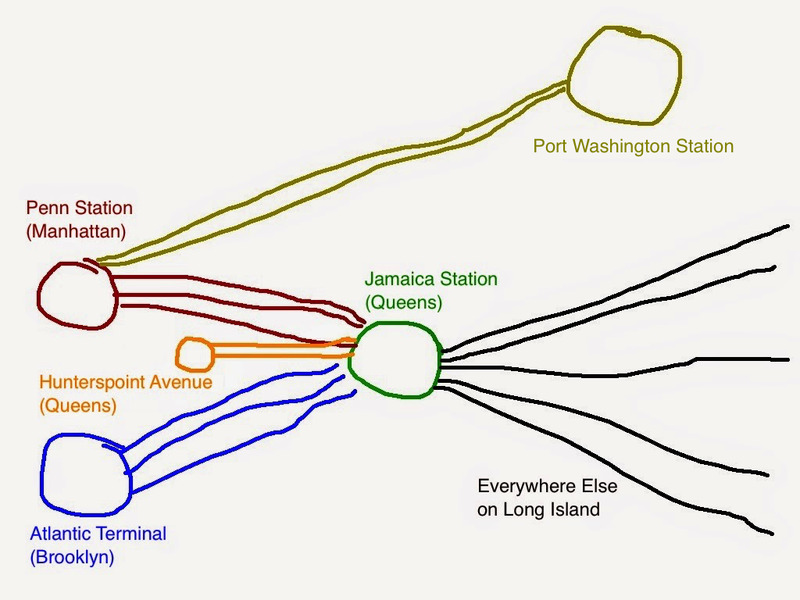 NYC Transit is honoring LIRR fares on the E subway line from Jamaica to Penn. Equipment problem? What a bunch of weasels. If I borrowed my father's car at 16 and totaled it, would I call him and say, "Dad, the Buick has an equipment problem?" Not if I wanted to live to see the next day. I found out about the collision via social media. A friend was on the Huntington-bound train that sideswiped the double-decker, and his wife posted about it. 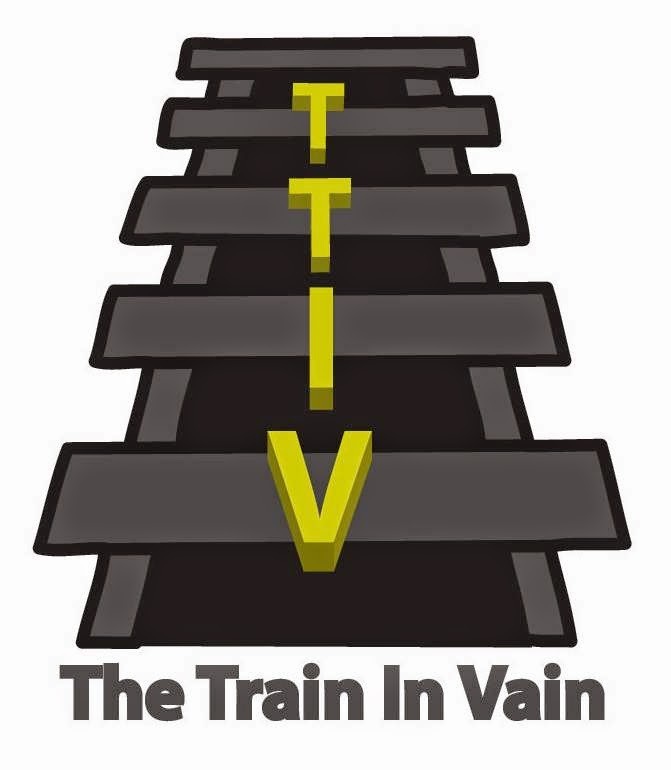 TTIV has a message for the MTA. 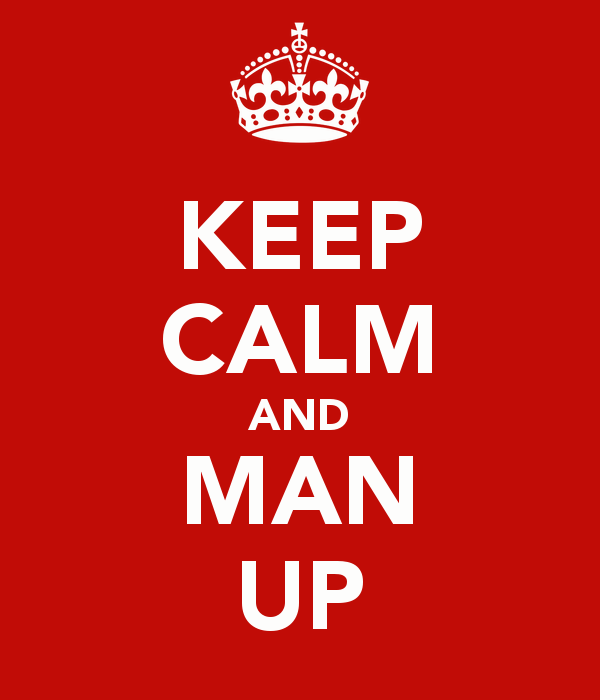 MAN UP. Announce real reasons for service suspensions. Pointing out "equipment problems" was a weak attempt to obfuscate what really happened. Own up to it and don't erode what minimal credibility you have. As it is, we regularly read story after story about overpaid employees, pension scams, and other wastes of the money we pay. Rant over. TTIV will now return to our regularly scheduled bad behavior observations. It sounds like a possibility but who knows. As you said, they will never admit to it. I am very surprised, because the LIRR has had a pretty good safety track record over the past 10 years. I guess they were due for an error. Lucky it wasn't worse.